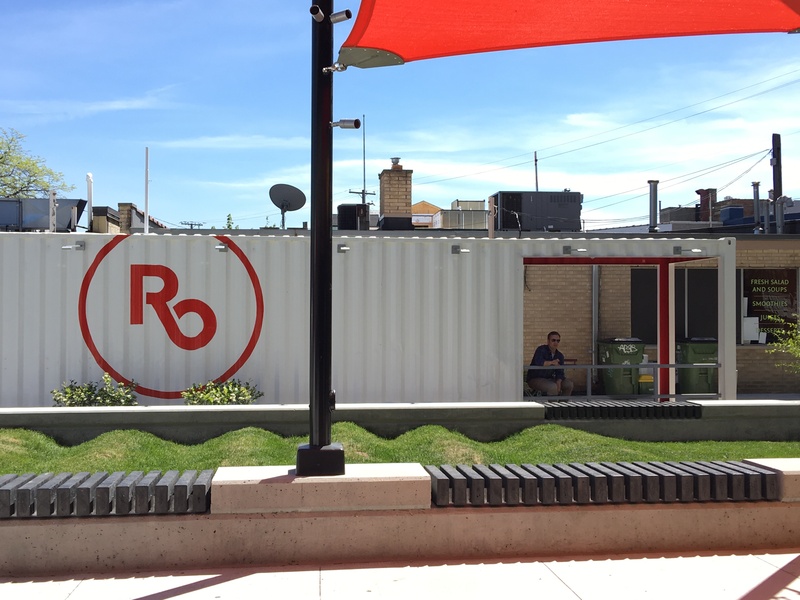 Whether they knew it or not, the City of Royal Oak engaged in an act of “Guerilla Placemaking”. 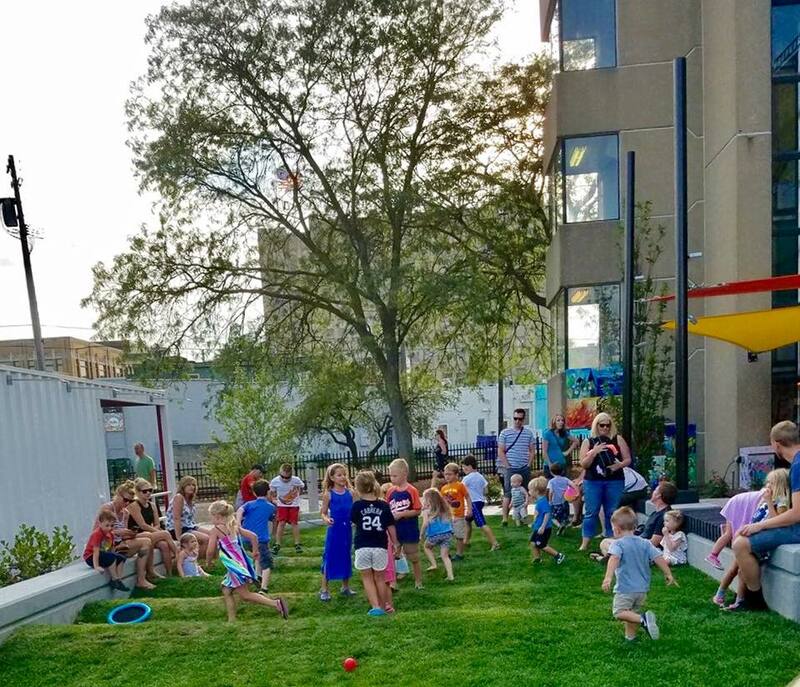 During the City’s annual summer concert series along Center Street in downtown, the innocent act of temporarily storing some picnic tables turned a small pocket park into one of downtown’s most popular places to gather. 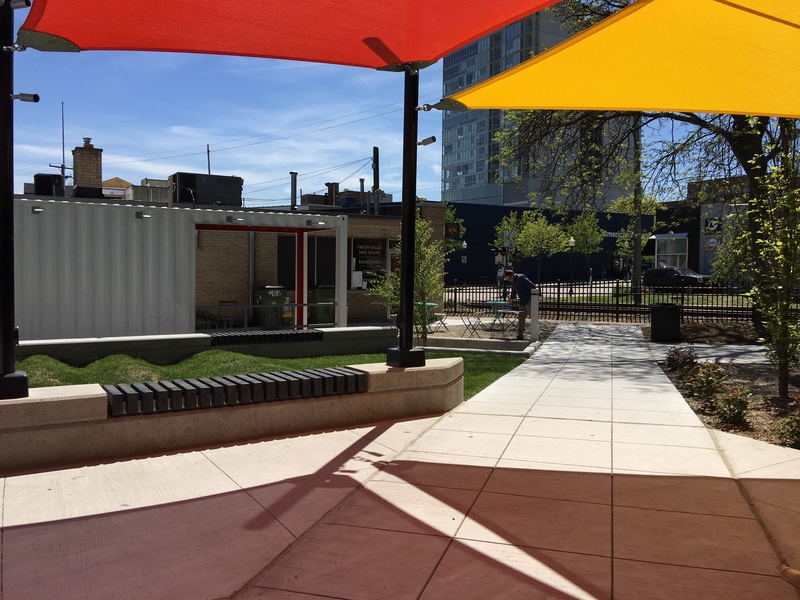 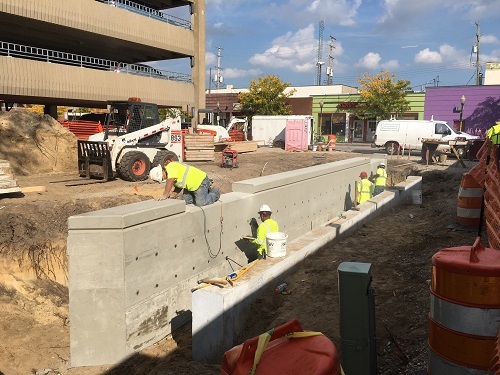 The City couldn’t help but take notice and quickly realized that they had the opportunity to turn what was once an underutilized, leftover space into something special. 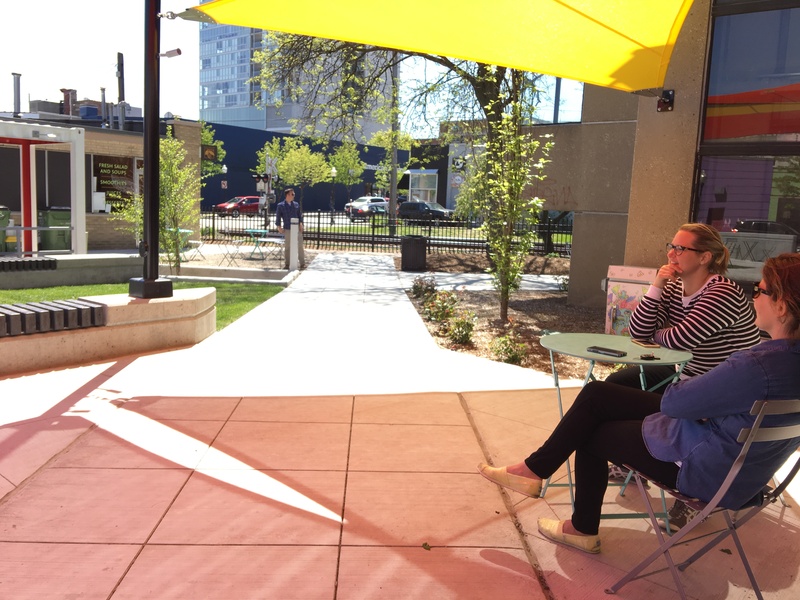 livingLAB facilitated workshops to gather input from local experts in software development, sustainability, and mobile/wireless technology – as well as visioning sessions with City staff and local business owners. 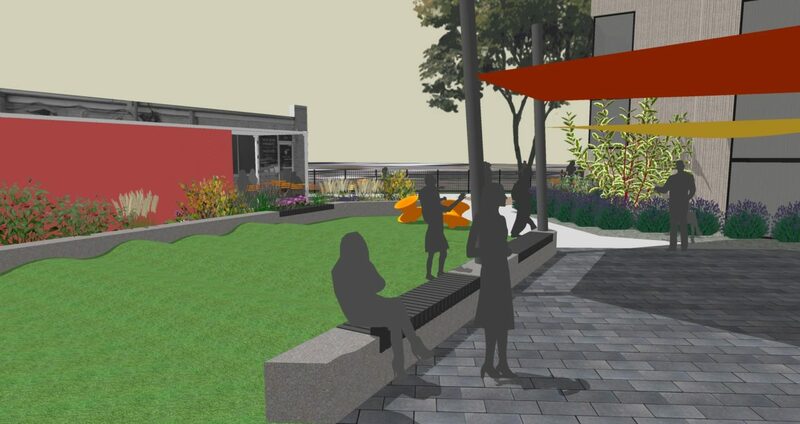 In the end, the overall design and vision of a smart, engaging, sustainable, and interactive “place” were realized through the thoughtful collaboration of the design team, the community, and the local stakeholders. 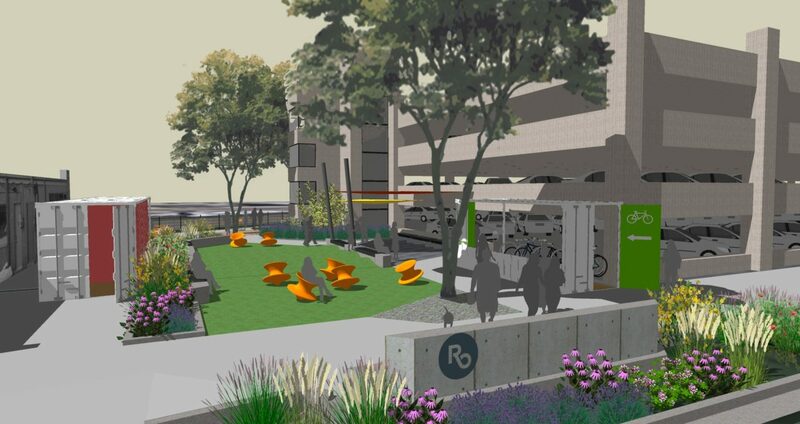 The concept includes covered bike parking, bio-cells to infiltrate stormwater, a variety of seating options, an electronic kiosk, reclaimed materials, the use of a shipping container for trash/storage, and the incorporation of civic art.